Not technically part of the 4 year cycle, more a one off. 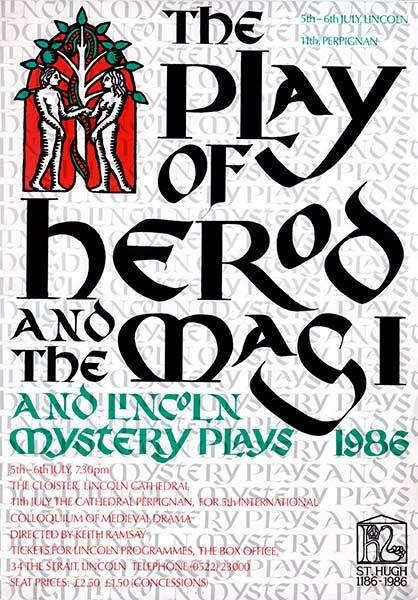 This was a small cast, 2 night ‘launch’ of a newly discovered version of Herod and the Magi, discovered by André de Mondach. Written in 1190 by Hermann de Valenciennes who was possibly a canon at either York or Lincoln Cathedrals.